As I was walking down Broadway yesterday something caught my eye. It’s sheer crapitutude even impressed my jaded eye. Here it is. Nice fence “Dutchy Construction“! It looks like it was constructed after passing a few “dutchies”. The rope is a nice touch. P.S. 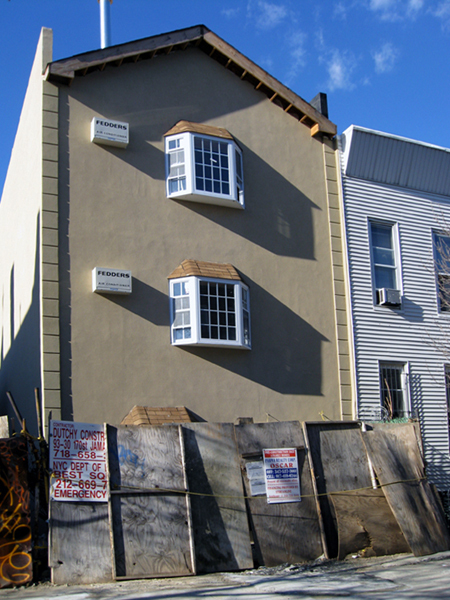 : Per the Department of Buildings this Bushwick chalet is going to be a two-family building. Um, okay.